I see the figure as a universally palatable form: a common lexicon of comprehension. It is something that humans innately understand and even in its most abstract shapes, can find recognizable. Through this archetypal understanding, I use the figure as a vehicle for discussion. Satirically sculpted forms are created to depict political figures (past and present, part and whole) as a means to scrutinize and chronicle our modern society. The imagery is subservient of social realities, the viewer, and the object. The ceramic medium allows for a deeper exploration into the fire due to its flesh-like qualities before it is fire and its inherent fragility post firing. It is through my interest of history and understanding of politics that I chose to focus my research on. I believe that the discourse in modern society is simply replayed from an earlier time with societies ebbing from nationalist conservatism to varying degrees of liberalism. That statement is, of course, an oversimplification to the issues that modernity has offed to the conversations in society. It is through my work that I push to understand these movements in politics and to draw lines of correlations though out history to better understand ourselves. 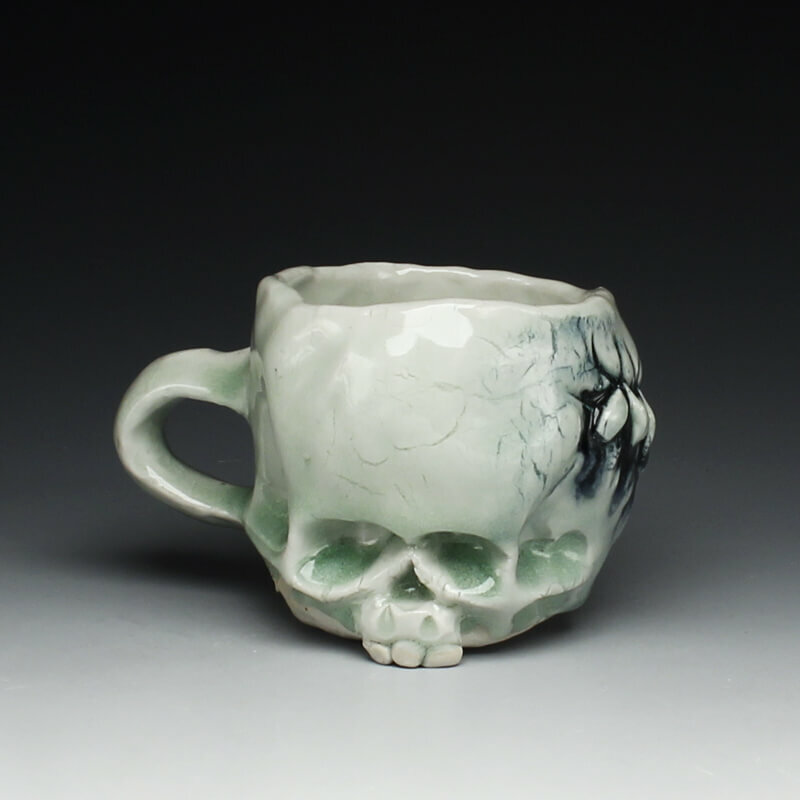 Originally from the Ozarks in southern Missouri, Zach Tate is a ceramic artist living in Goshen, Indiana. He moved to northern Indiana in 2013 after finishing his M.F.A. from Texas Tech University. His work has been exhibited internationally, nationally, and regionally since 2007. Along with exhibiting his work, Zach has been a visiting artist at several universities and art centers around the world and works as an author for several ceramic publications. His writings cover experiences he has had organizing events, traveling experiences, and exhibition reviews. Since 2015 Zach has been the Executive Director of Goshen Youth Arts-a non-profit organization serving at risk youth ages 9-19. This project endeavor has allowed Zach to work as a community organizer and serve as an active vocal force for community betterment in northern Indiana.